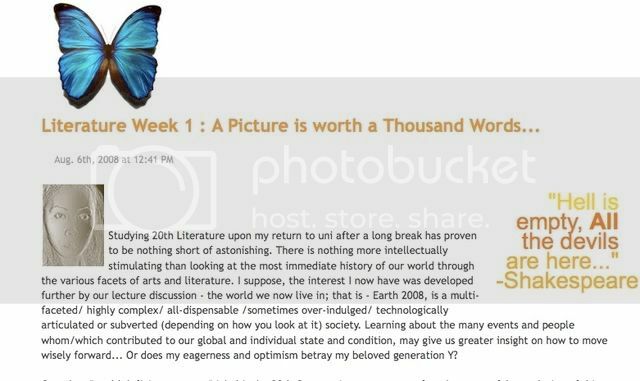 Hi all - this is the week when the first half of your LiveJournals for this semester have to be prepared for presentation. 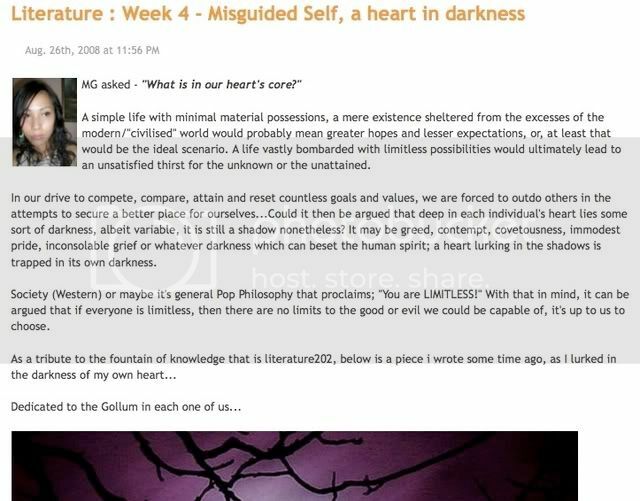 In particular you need to finish off your entry for week six and then post a new separate entry with the SUBJECT "My Best Entry from Weeks 1-6". When you have done that, post the URL of your best post in the message section of your entry (eg: http://michaelgriffith.livejournal.com/74264.html) and then cut and paste the whole post itself into this space. I will be looking chiefly at your best post when I allocate your marks... but I will also be giving a sweeping look over the rest of your terrain.... check out the criteria for LiveJournal in your Unit Outline to make sure you have covered all the things required. I got home from a long day of eating and did my post yet realised I forgot to copy and paste the url into your messages...hence the 1am! Sorry!